December 7, 1941, a date that will in live in infamy. Japan's surprise attack on the United States, United Kingdom, and other European powers marked the culmination of less than a century of Japanese transformation from an agrarian feudal state to one of the world's great industrial powers. The Empire of Japan decided to launch what it considered to be a noble struggle against the West. However, a sleeping giant had been awakened that would not allow what it considered to be wanton aggression to go unchecked. Fours years of war between two great powers would see remote islands become the graves of countless warriors. Islands such as Iwo Jima, Java, Midway, Guadalcanal, and many more would characterize the carnage of the Pacific War and the heroics of the soldiers of both sides of the fighting. 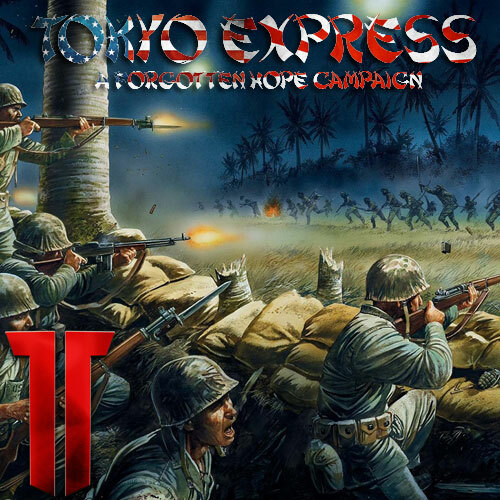 In this campaign, you will get the choice of serving as an American Marine, hoping to avenge Pearl Harbor and defend the Pacific from aggression, or as a Japanese warrior serving the Emperor and seeking to remove Western influence from the Orient. Grueling battles in combined arms ranging from battles on the high seas, amphibious landings, and jungle melees. 2 sides led by experienced veterans with teamwork oriented armies employing strategies and co-operation with promotions and rewards for your achievements. This gives access to Forgotten Honor's FH1 neutral forums. There will be a registration thread in the forum to direct to Axis or Allied. Our first Scrim (friendly match) will be this Saturday at 18 GMT. The map will be "Battle of Iwo Jima". Simply join the website, go on our games tab and you will be approved by an admin to join a side. Upon registering to the forum, you would drag your mouse under "Games", which allows a "Join Game" and "Statistics" tab to appear. Click on the Join Game. Under Forgotten Hope 1, click on "Join Group". Once you are approved by an admin (generally very prompt), you will see an announcement for joining a side. Finally, click on that thread and select either Axis or Allies. An officer or admin will then confirm you. We will be playing the Battle of Midway for this week's scrim. Let me know if you have any problems with registering. We are playing our first competitive battle, Hong Kong, this Saturday at 18GMT. Come and join us! This week we will be fighting for the island of Tulagi. Come and join us! This we will be playing a historic all naval battle. All are welcome to join the campaign and join us. We will be having a battle on Adak Island today in two hours. Come join us! The last battle for the campaign will be on Saturday at 19GMT.